The WaterRower is a rowing machine that offers a unique, stylish look and a rowing experience that uses water to replicate the sound and feel of actual rowing. Each machine is handcrafted from solid ash and oak and finished with Danish oil to give a deep lustre and warmth to the wood. 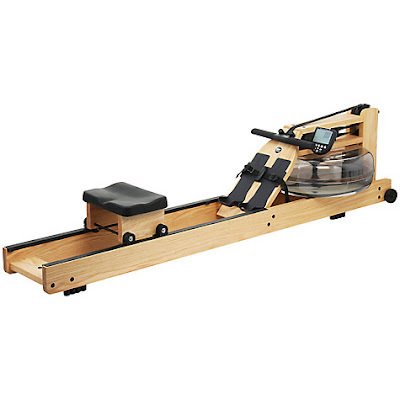 The WaterRower simply looks great, it’s less jarring in your home, blending in with the look and feel of its surroundings. A major advantage of using wood is its ability to absorb sound and vibration, making it quieter and smoother to use. The WaterRower is designed as a natural rowing simulator, and is unrivalled in replicating not only the physiological dynamics of rowing, but much of the aesthetic pleasure as well. 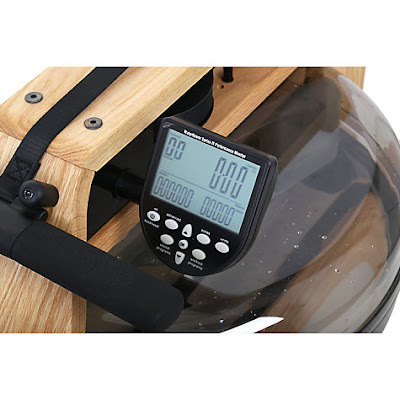 The WaterRower's patented WaterFlywheel utilises the feel and fluid drag of water just like a rower on the river. 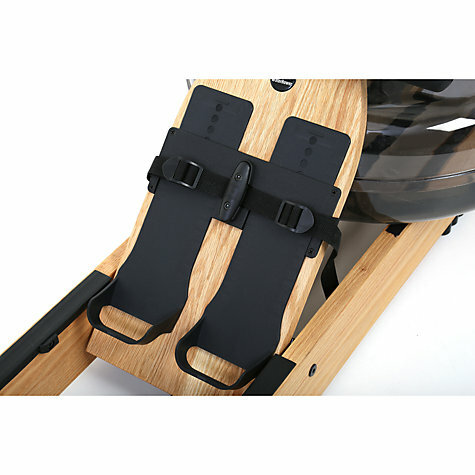 Be reassured of the low ecological impact of the WaterRower. The wood from each machine is harvested from replenishable forests. WaterRower Digital Heart Rate Monitoring Kit - state of the art ANT+ wireless technology accurately measures your heart rate and display it on the WaterRower monitor. Dual-density Seat Pad – Enjoy your workout in comfort with the Dual-Density ErgPad seat cushion that’s designed specifically for the WaterRower. Medically proven pressure-relieving technology and the ergonomic design deliver pressure relief whilst you row. Oarsome Potential Rowing Grips - these fit snugly over the Water Rower’s handle, helping prevent sore hands and wrists. It works by the ergonomically shaped grips preventing skin from bunching up – the root cause of blisters. Made from specially softened plastic, the Oarsome Rowing Grips maintain their shape, providing you with ergonomic efficiency for a more effective Water Rower training session. The Oarsome Rowing Grips are latex free and sealed with an antibacterial solution.